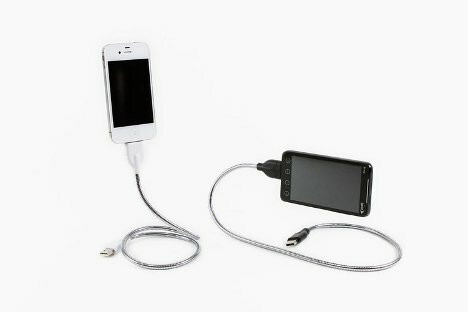 Those little white charging cables for your iPhone are agonizingly inadequate in so many ways. They’re too short, the white plastic casing around the wires eventually wears out and forces you to get a new one, and they look kind of ugly hanging out of your computer or the wall socket. 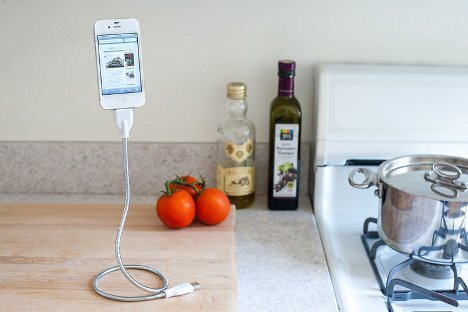 The Bobine is a charging cable with a big difference: it also acts as a sturdy, positionable tripod for your phone. It’s not a cable so much as it is a really, really pared-down dock. 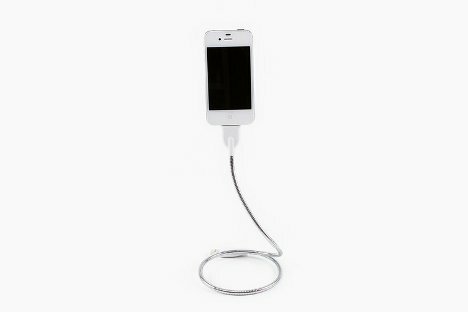 The charging cable is contained within a flexible metal gooseneck which can be twisted and turned to hold your phone at a number of angles and positions. When your phone is charging, the Bobine can hold it steady even with both ends plugged in – so if you want to FaceTime with Grandma, you can do it hands-free. Even when your phone isn’t charging, the Bobine is useful for holding it in unusual positions for reading, taking pictures or watching videos. One end can even wrap around objects like door handles to let you get just the right angle. The Bobine is currently available for $30. 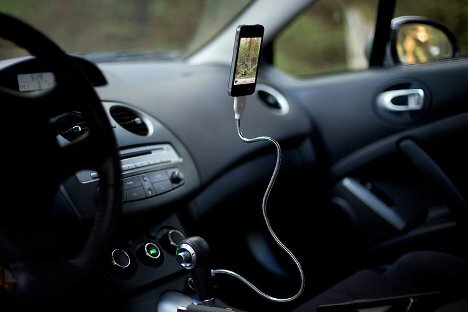 See more in Phones & Mobile or under Gadgets. October, 2012.